All you need is love and the birds will love this peaceful all weather birdhouse as well! 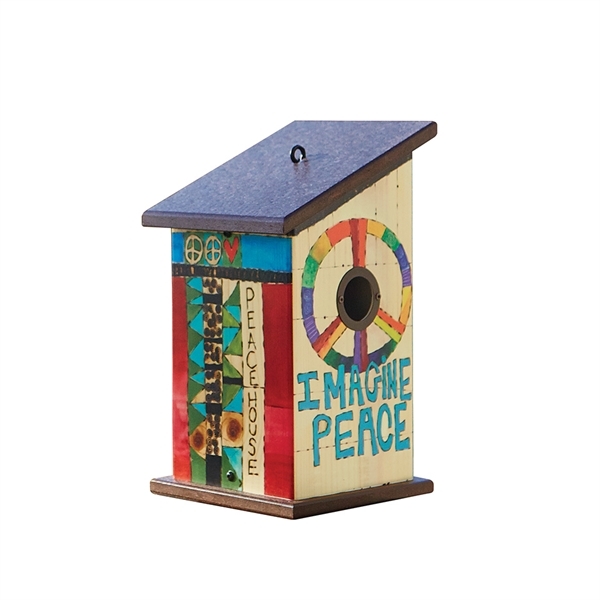 Beauty meets functionality with our new all-weather colorful peace birdhouse. Each birdhouse has a universal 1.5'' hole, fledgling ladder, ventilation and drainage holes, and a removeable rooftop for easy cleanout. This birdhouse is a state-of-the-art reproduction of a birdhouse that’s been wood-burned and hand-painted by the artist. Made from maintenance-free PVC and recycled plastic.